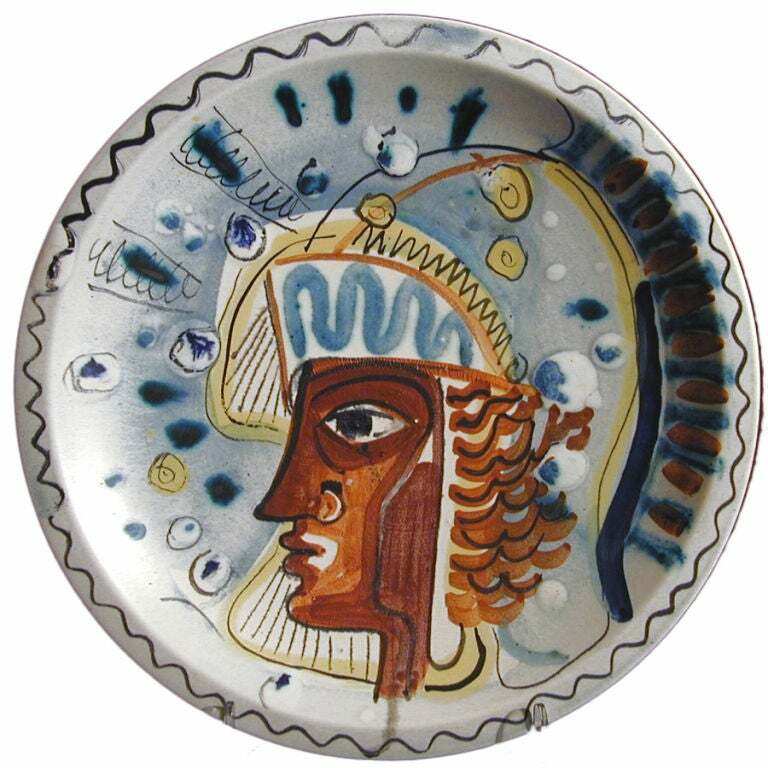 An important and early work by Carl-Harry Stalhane, this unique charger is Picassoesque in style and is glazed with brilliant colors. 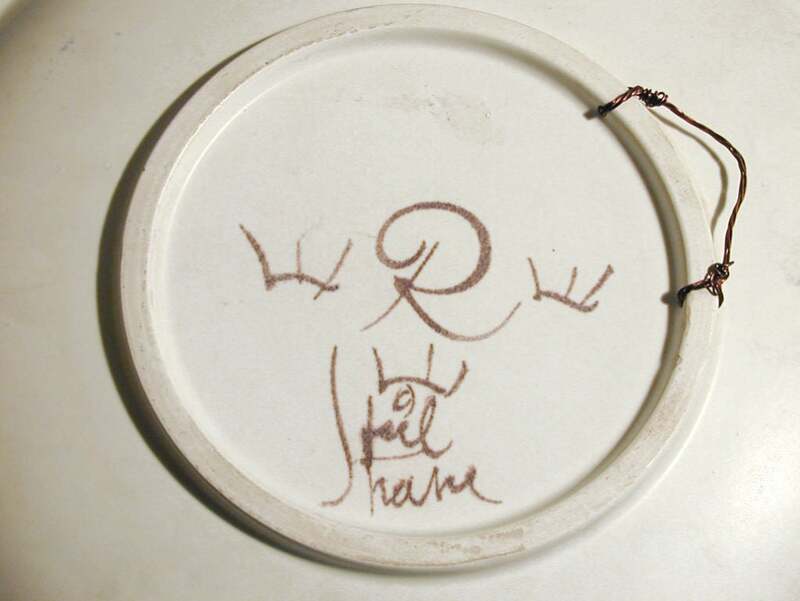 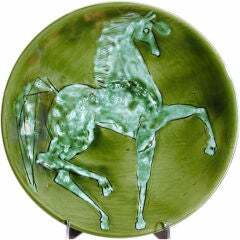 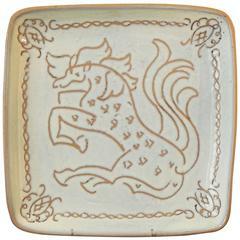 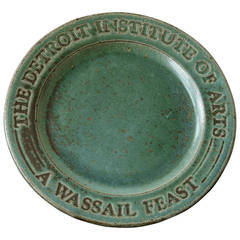 This very fine platter, glazed in gorgeous shades of jade, moss and white, depicts a high-stepping horse. 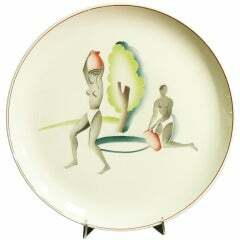 It is marked "Plisson France," and probably dates from the 1950s. 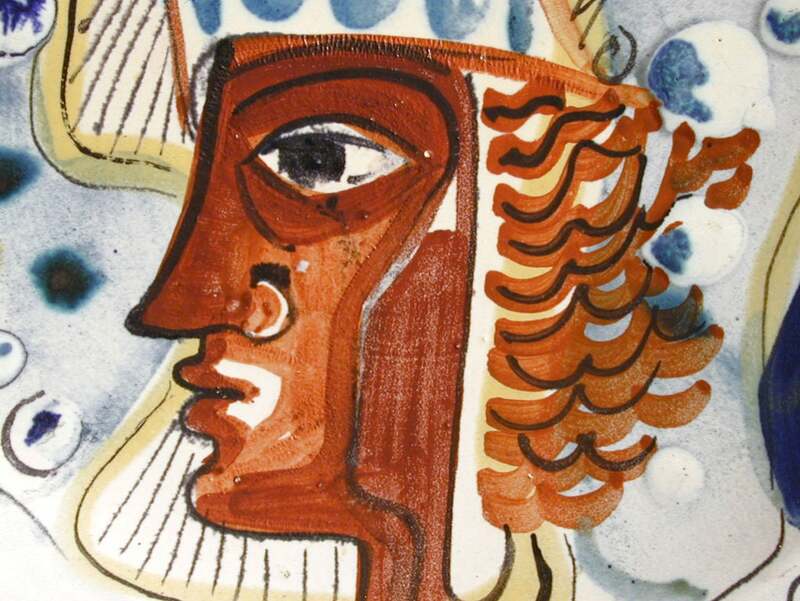 Tall vase in stoneware by Carl-Harry Stålhane. 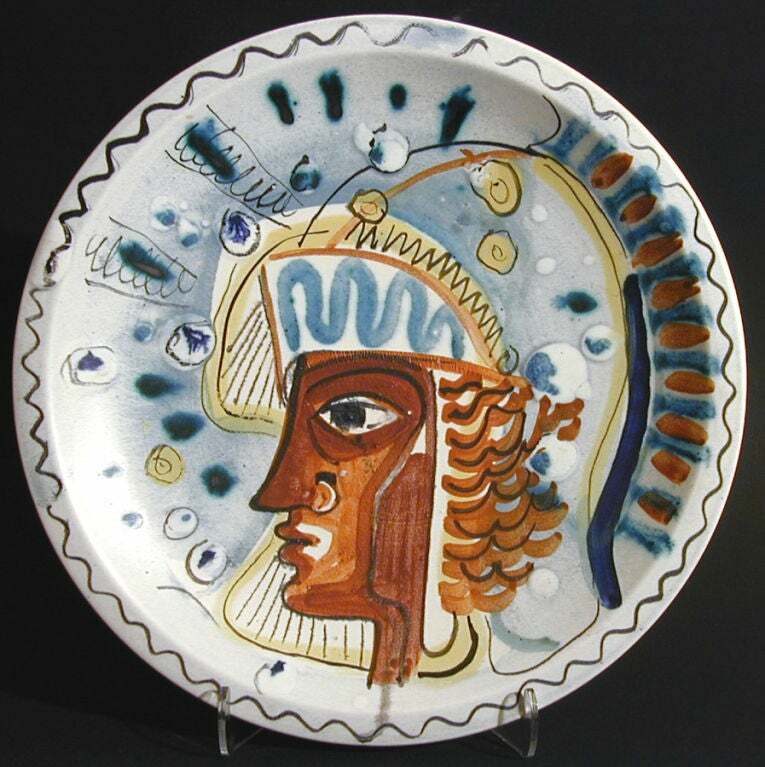 Made att Rörstrand in the 1960s. 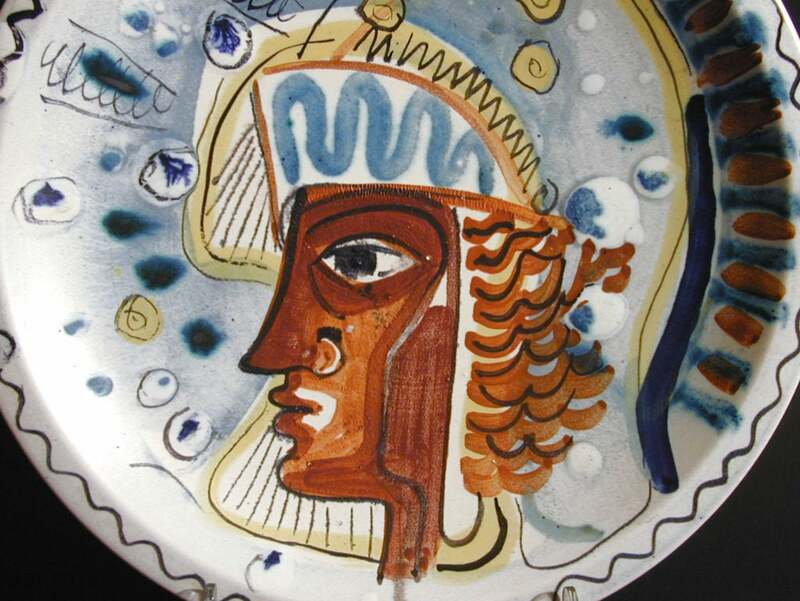 A lovely vase with a wonderful form and glaze.